WARSAW, Poland (CNS) — Catholics in Ukraine said people fear a full-scale war with Russia, after a naval confrontation prompted the imposition of martial law in Ukraine’s eastern regions. Meanwhile, an official with Caritas Ukraine said local inhabitants had begun hoarding food, water and candles in preparation for a “sudden escalation” in events. “In modern war, a city can function for just three days if its transport links are cut,” he said. The city of Mariupol has 750,000 inhabitants, “many of them refugees from fighting further east, and it totally depends on sea supplies. Since its people are experienced in dangerous situations, they could probably survive without food or energy for 10-14 days. But there would be great suffering,” Seleshchuk said. “I’m afraid Ukraine will be left more or less alone once again to face this crisis, just as it was back in March-May 2014, even if it leads to a full-scale war with the Russian Federation, as many now fear,” he said. Russian President Vladimir Putin said Ukrainians had illegally entered Russian waters and accused Poroshenko of staging the “provocation” to boost his ratings in 2019 elections. 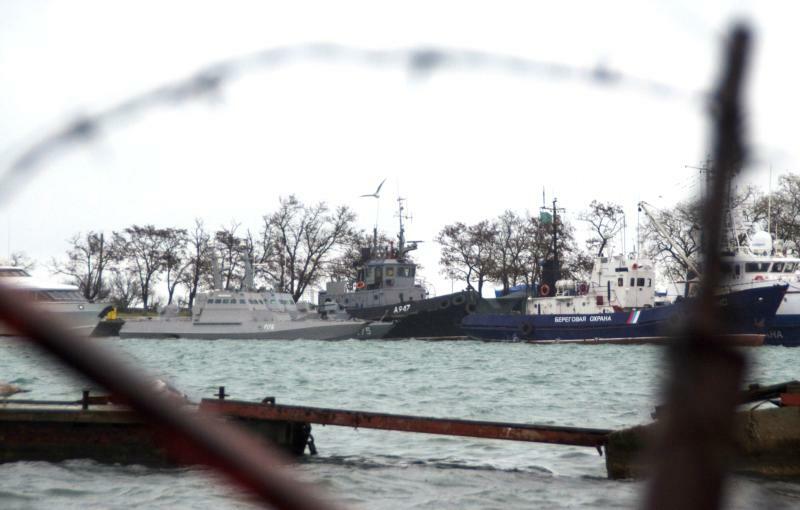 The latest naval incidents coincide with a Russian-Ukrainian dispute over plans by the Orthodox Ecumenical Patriarchate to recognize an independent Ukrainian Orthodox Church. The Orthodox Ecumenical Patriarchate approved the text of the charter, or “tomos,” for an independent Ukrainian church at its synod Nov. 29 in Istanbul.